In this month’s column David Robinson reviews Scotland-based author Jason Donald’s arresting new novel in which the eponymous Dalila leaves Kenya, and a personal history of brutal violence, to arrive in London. Yet Dalila soon discovers that London provides no escape from the many dangers she hoped she had left behind. 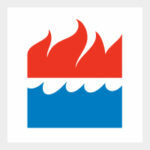 Robinson praises Donald’s convincing treatment of this timely topic and argues that more novels must follow Dalila’s direction to further what he calls ‘fiction’s ‘real life footprint” to ensure that such important, yet oft-neglected, contemporary experiences are told in today’s publishing landscape. Ten years ago, when The Scotsman ran Britain’s biggest short story competition, each year I used to pick what its theme should be. For the first one, I wanted to select a subject that was hardly ever covered in fiction, one that would guarantee an influx of freshly written and entirely original entries rather than tired old retreads dusted off from bottom-drawer oblivion. I know, I thought. Let’s get everyone writing about Work. Considering the fact that most of us work for a living, isn’t it odd so few writers write about it? Yet how many people do you know who would define themselves mainly in terms of their jobs? How many would move from one end of the country to the other – or even to another country altogether – for a better one? For how many people, is work – its gossip, politics, dreams – the most fulfilling part of their lives and its disappointments the source of their greatest regrets? It’s only when you start thinking like this that you realise how little of real life fiction’s footprint actually covers. Of course, you will correctly point out, fiction depends on transformation while work relies on routine, which is probably why the world still awaits its first novel set in the office of a pensions actuary. And one reason we turn to fiction in the first place is precisely because we are creatures gifted with an imagination – Hogwarts, Xanadu, Borodino, the Culture – that the ordinary nine-to-five can’t match. All the same, whenever I come across a novelist tackling an important subject I’ve never read anyone else attempting, and extending fiction’s footprint just that little bit further, I can’t help cheering them on. And among this month’s new Scottish releases, that’s precisely why I’m rooting for Jason Donald’s second novel. Dalila charts the passage of its eponymous heroine, a 20-year-old Kenyan asylum-seeker, through the Home Office’s Kafkaesque bureaucracy, which sends her to Glasgow to await the results of her application. The novel is particularly well-researched: in the Noughties, when he was living in Ibrox, Donald taught English to asylum seekers for the best part of the decade. He has also done extensive voluntary work for charities working with refugees and those held in detention centres. I’ve done none of that – indeed I’ve never even met an asylum seeker. But reading Dalila did what fiction is supposed to do: it turned a key in my mind and suddenly I was looking at a completely unfamiliar slice of life in a familiar city. I’ll give you an example. About half-way between Ibrox Stadium and the Glasgow Science Centre, there’s a spectacularly badly named building called Festival Court, where Dalila has to go to be assessed. It’s a real place, and used by asylum-seekers in real life, and now I’ve read the novel I can imagine, in a way I couldn’t before, what it must be like to go there, knowing that the person interviewing you there has the power to send you back to a place where your life could be at risk. That could happen right there and then. You might have turned up for that meeting at Festival Court, having picked up your children after school, fully immersed in everyday life in this new city, and they could be sent off to the detention centre with you, still in their school uniforms. I’d never realised, in other words, that there was an office building in Glasgow that effectively was a border, just like the painted line you cross when you show your passport at the airport. I’d never thought of it like that – or to put it another way, I’d never read a novel that had made me feel empathy towards asylum seekers. Yet just as, in The Grapes of Wrath, the problems only really began when the Okies arrive in the supposed paradise of California, Dalila made me realise that it’s the same with asylum seekers arriving in Scotland. And this is, quite obviously, not a paradise at all but a cold place of purgatorial waiting, a limbo land where you can’t take any work, can’t understand the locals, have hardly any friends and even less money. Mentioning Steinbeck’s classic brings me back to that business of fiction’s footprint. Thanks to Steinbeck, fiction opened up to our imaginations the lives of all of those who made the Grapes of Wrath journey west from the dustbowl states of Oklahoma, Arkansas, Texas and Missouri to California (300-400,000 in the whole of the 1930s). And thanks to books like Uncle Tom’s Cabin, another American migration – the journey of up to 100,000 slaves fleeing slavery in the southern states to find freedom in the north – opened up minds even further in the century before. Indeed, it would be easy to argue that there’s never been a more influential novel in history. Europe’s migrant crisis is, however, on an altogether bigger scale. The numbers of migrants pushing into Europe 1.2 million in 2015 alone – is vastly greater than the numbers of Okies heading west or slaves heading north combined. So where’s the great European migrant crisis novel? Young adult fiction writers are streets ahead on this one. Michael Morpurgo’s Shadow and David Almond’s Jackdaw Summer are just two of those who have written about asylum seekers, but there are many more, and I’m glad of it: those Syrian children whose families have fled the civil war might find a greater degree of empathy in our classroom as a result. But apart from the partial exception of Chris Cleave’s 2008 novel The Other Hand, adult fiction seems to have given the subject a body swerve. Why? He has, though, had the last laugh. Christopher Hampton, the Oscar-winning screenwriter behind such films as Dangerous Liaisons and Atonement, has already written a filmscript based on Donald’s novel. This is already Cape’s lead fiction title for January, comes with a back cover full of adoring quotes from Janice Galloway and Anne Donovan, and I don’t doubt that it will do well. Because when fiction extends its range beyond its usual subjects, when an empathetic novelist shows us what we’ve been ignoring all those years, we’re all the better for it. I said earlier on that I’ve never met an asylum seeker. I have now. 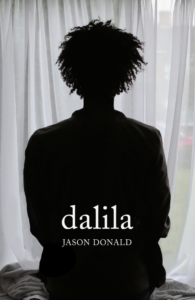 Dalila by Jason Donald is published by Jonathan Cape on 16th January, priced £16.99.